Light and smooth with good taste. I love them. They have a great flavor and are fairly mild. Tried many others and for the my money they are the best. This is my every day cigar, having smoked them for over 28 years. The #2, for me, is the perfect length and ring size. Every now and then I get a cigar that is not rolled correctly and they seem for more often recently. The cigars are creamy and cedary, and are very satisfying. I aged 4 boxes for 7 years, and the results were impressive. But these cigars are made to be smoked upon release, IMHO. 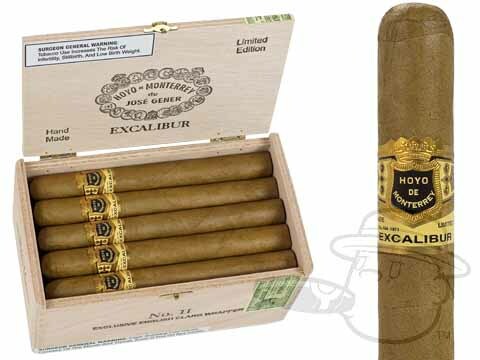 Excalibur #2 Natural is rated 4.7 out of 5 based on 4 customer ratings.